Join Our Fun Run/Walk Group! Join our fun runs/walks on Wednesdays at 6:30 pm and Saturdays at 8:00 am (Saturday times may vary seasonally). The group leaves from the store together and will usually go from 2 - 4+ miles depending on individual preferences. 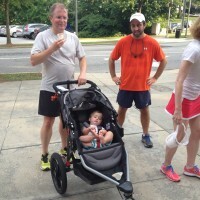 Walkers and runners of all levels (from Decatur and beyond) are welcome. Participation is free. Join us at any time! For questions, please call 404-371-0208. 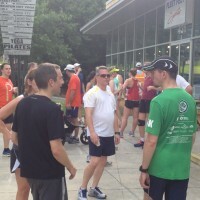 Join the Fun Run/Walk group on the first Saturday of every month for waffles! The group meets at 8:00 am to put in a few miles. Then everyone returns to the store to enjoy a tasty breakfast featuring hot-off-the-griddle waffles! We can't promise you that our waffles will look as good as these, but they taste great and the company is second to none! Description: Join our fun runs/walks on Wednesdays at 6:30 pm and Saturdays at 8:00 am (Saturday times may vary seasonally).